wachusettdumpsterrental: Question Of The Week: What Does Level Load Mean? Question Of The Week: What Does Level Load Mean? 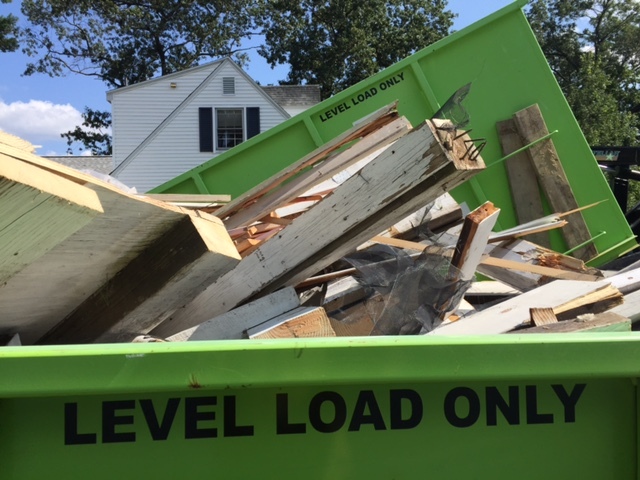 Recently one of our customers asked this great question: What does it mean when you say the bin needs to be level loaded? Well, there is a sign on every bin that reads LEVEL LOAD ONLY. Although it sounds like you should evenly distribute the weight of materials in the bin, which you should try to do, it actually means that you should not overload the bin above the top. Every bin has to be tarped and driven down the road, and regulations require that nothing protrudes above the top of the dumpster. Knowing which size bin you will need for your project will play a key part in being able to load it appropriately. This is where our questions come in. When calling to schedule a residential friendly Bin There Dump That bin, we will ask lots of them. We want to make sure that we deliver the ideal size bin for your materials. Our knowledgable team is happy to suggest options and answer any questions you may have. Give us a call for your next project and experience a residential friendly, hassle-free Bin There Dump That rental! If you're in the area, stop by our office located on 24 Mass Ave., in Lunenburg and meet the team. Thanks for reading and please feel free to contact us with any questions or if you would like to schedule a rental.